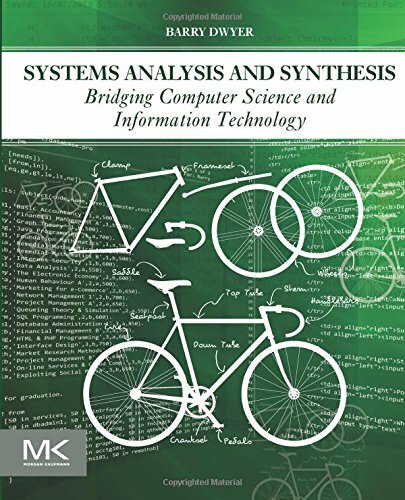 Systems Analysis and Synthesis: Bridging Computer Science and Information Technology presents several new graph-theoretical methods that relate system design to core computer science concepts, and enable correct systems to be synthesized from specifications. Based on material refined in the authorÃ¢ÂÂs university courses, the book has immediate applicability for working system engineers or recent graduates who understand computer technology, but have the unfamiliar task of applying their knowledge to a real business problem. Starting with a comparison of synthesis and analysis, the book explains the fundamental building blocks of systems-atoms and events-and takes a graph-theoretical approach to database design to encourage a well-designed schema. The author explains how database systems work-useful both when working with a commercial database management system and when hand-crafting data structures-and how events control the way data flows through a system. Later chapters deal with system dynamics and modelling, rule-based systems, user psychology, and project management, to round out readersÃ¢ÂÂ ability to understand and solve business problems.